With our next group ride coming up, the task of scouting the area was in need. 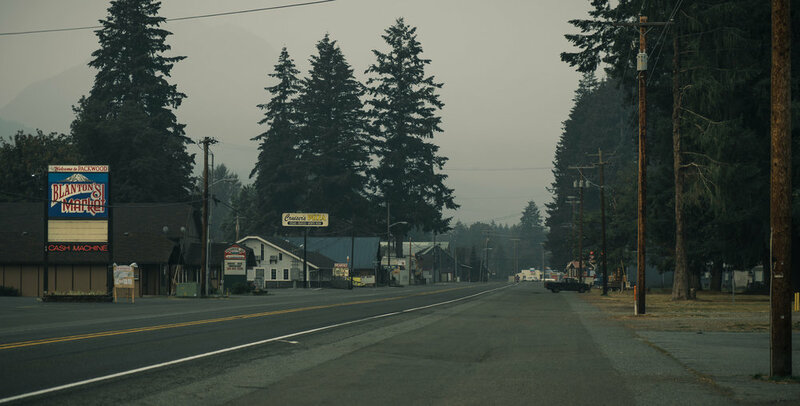 About 100 miles from downtown Seattle, the small town of Packwood is located in the Gifford Pinchot National Forest. 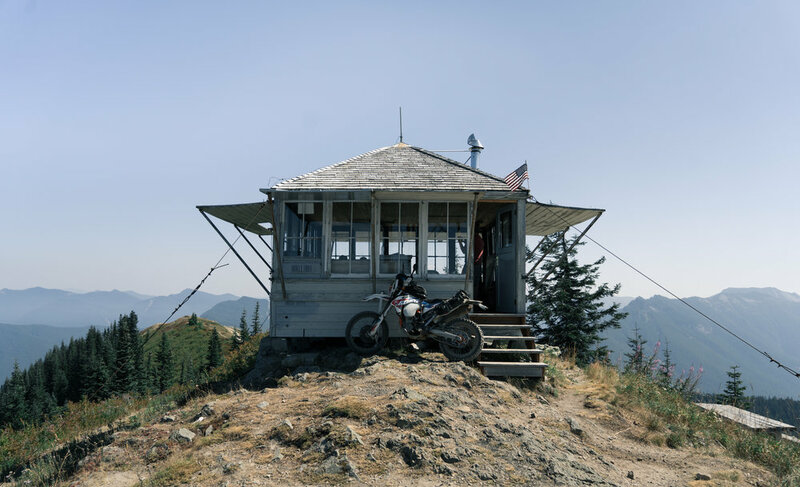 A perfect launchpad for a motocamping adventure. 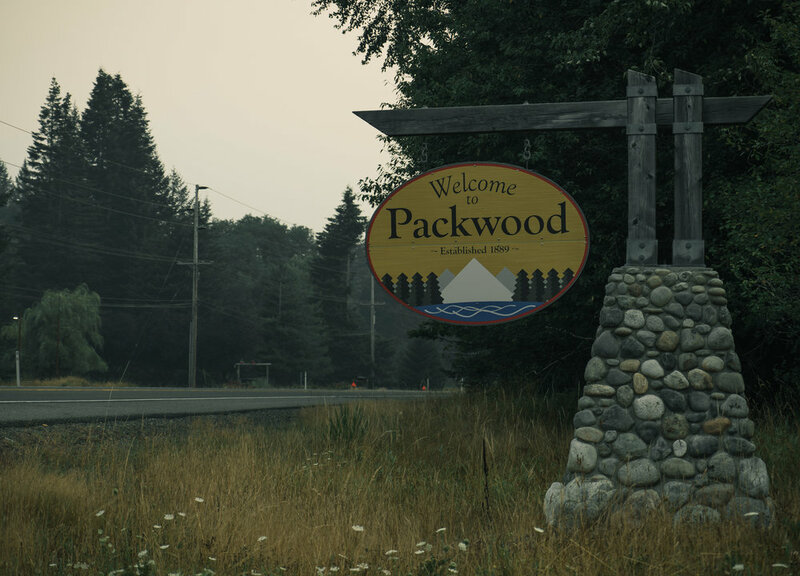 The average temperature of Packwood in late August is about 80°F, and in the prime of fire season. Most of the days, the air was full of smoke and blocked many of the views. On the bright side, there was no rain. 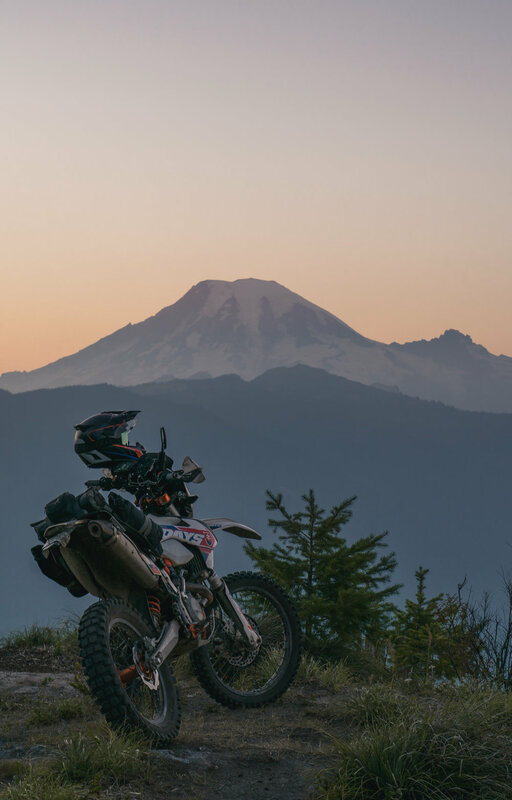 This town is actually a designated pit stop along the popular backcountry ADV route that passes through the entire state of Washington. 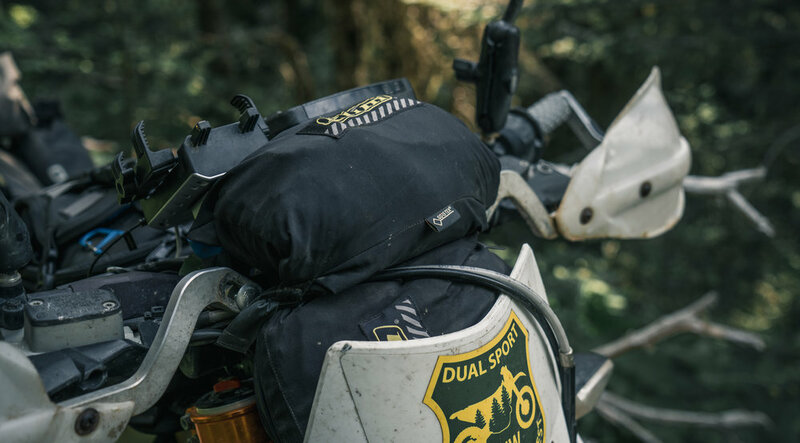 With a grocery store, a couple gas options, auto parts store, and a handful of local eateries, you'll find all the minimum requirements you need on a dual sport adventure. A local herd of elk inhabit this town, completely accustomed to being around people. You'll see them gather in the yards of businesses and homes almost every night at dusk. 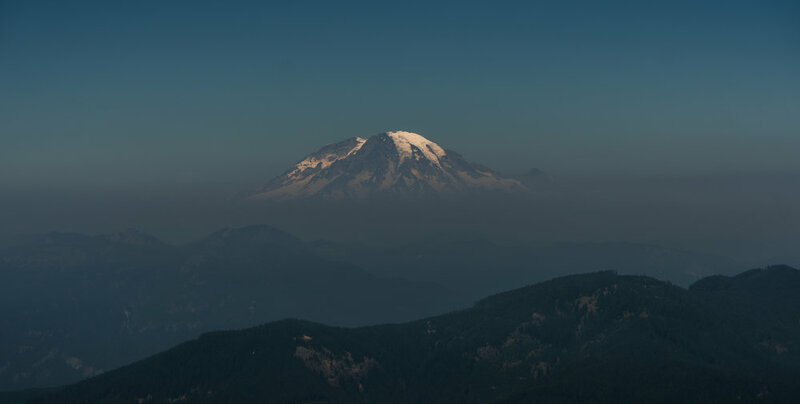 On days when the smoke isn't filling the sky, you can get an awesome view of Mt Rainier, right from town. Mt. Rainier, as seen from Burley Mountain. Just minutes after leaving town, you'll find yourself making dust on a forest service road or trail. I pointed my bike south, staying mostly within the boundary of roads 12/21/23, and found there was more than enough riding to keep someone busy for days on end. Click this photo to open the route in Google Maps. For this trip, day rides from a basecamp seemed to be the best solution. This allowed me to travel light and fast, and have a central point to fuel back up without going all the way to town. 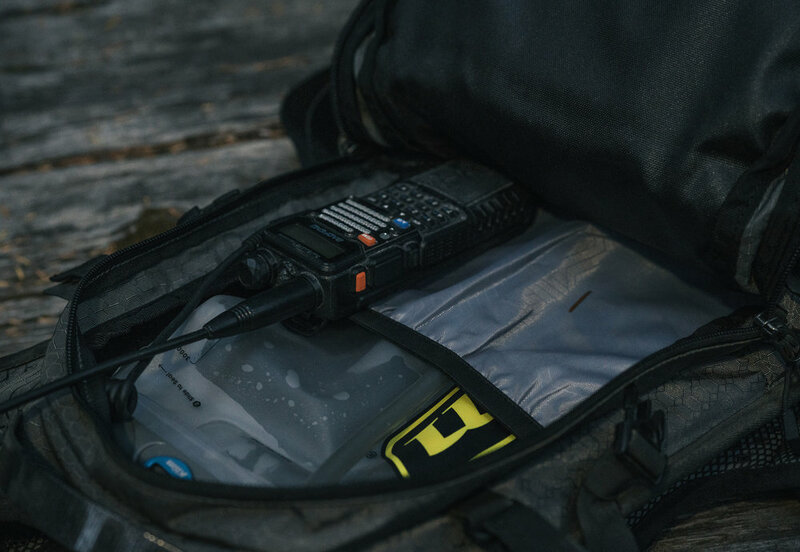 Without the need for camping gear, a Mosko Moto R40 was used in a more minimalist setup. This allowed carrying a tool roll, oil bottle, and pump without the bulk of the full size of the luggage. By using the leg bag straps directly to each other, I was able to essentially fold up the sides. 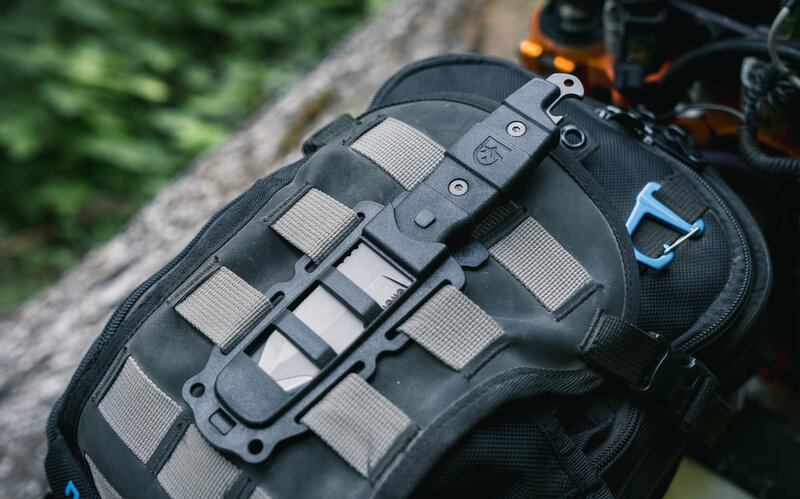 Also, a Mosko Moto Nomad was used for carrying camera gear and a knife compatible with the MOLLE panel. 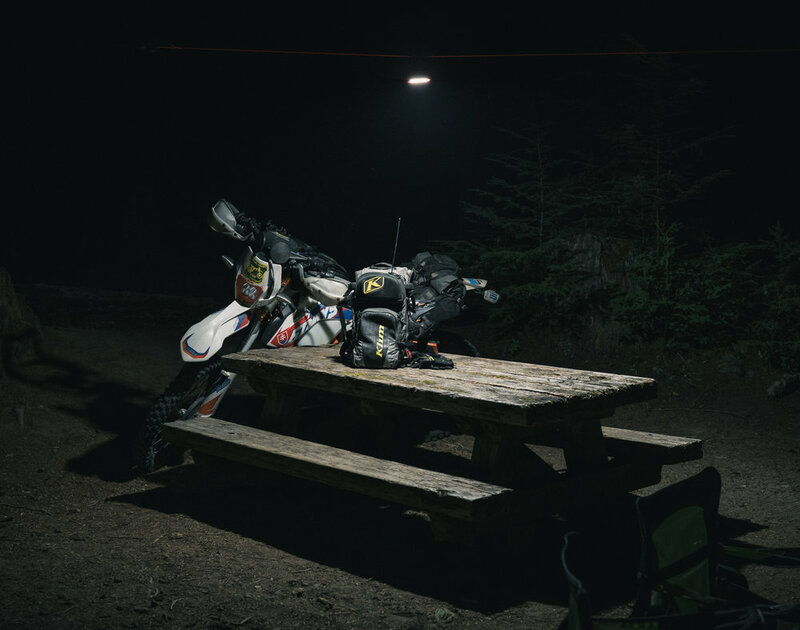 Behind the headlight a KLiM stow away rainset was stored in case of inclement weather, or the more likely chance of being out on the bike after dark at high elevation. 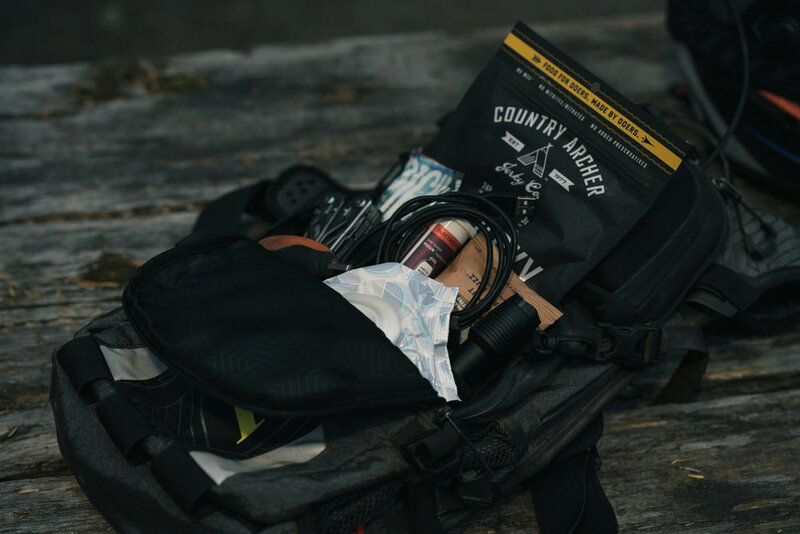 For hydration, snacks, and other small items, a KLiM Nac Pak was worn. All necessary for spending long days in the mountains without too much trouble. 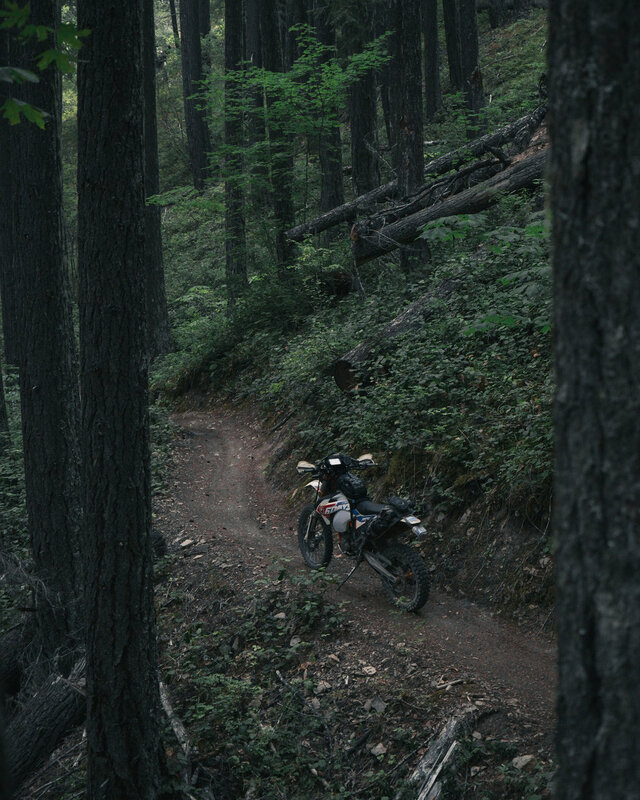 The bike ridden on this trip was a 2016 KTM 500 EXC Six Days edition, a perfect bike for this type of exploration. 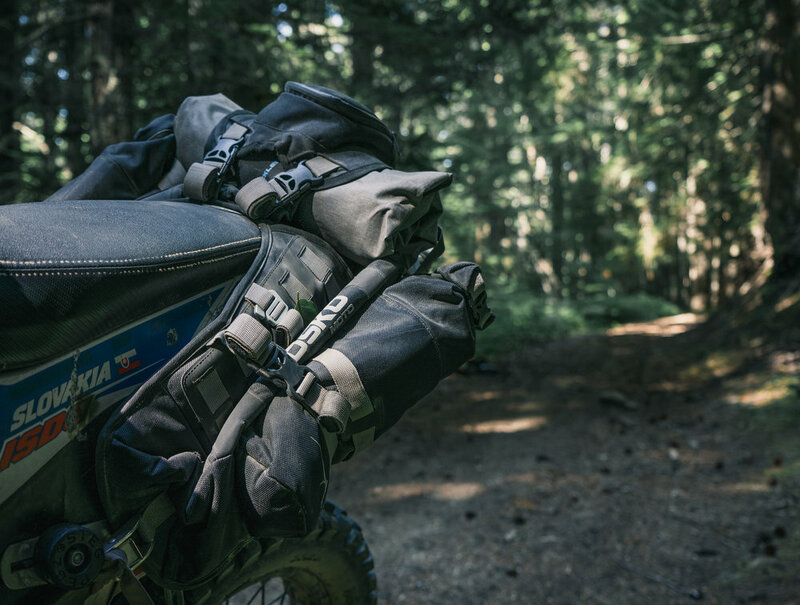 Whether you are on a featherlight dual sport, or a massive ADV, you will find an amazing route through this area. It's a great mix of tough singletrack, easy and fun forest roads high up, and everything in between. 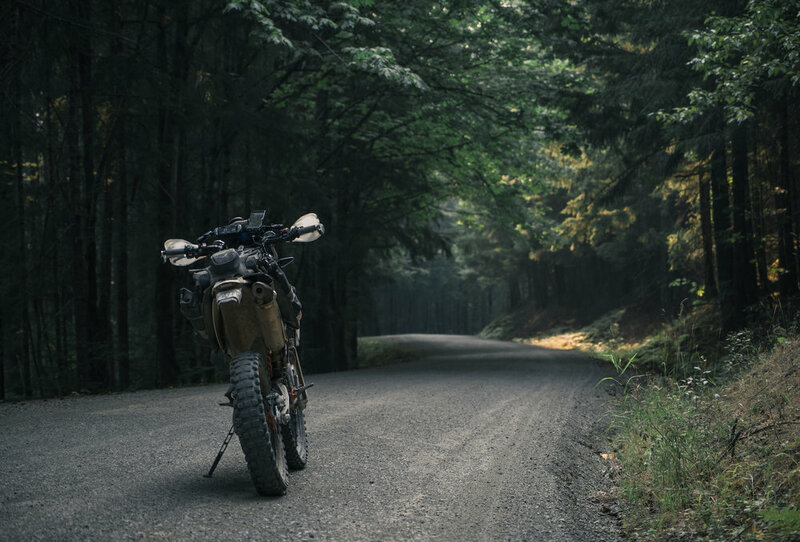 Although I spent the majority of my time on dirt, there were a few paved sections that would be a blast even on a cruiser or sportbike. FS 23 heading south out of Randle is a beautiful, windy, tree enclosed road with very minimal traffic. Many of the singletrack routes are long. One in particular is called "Valley Trail", which is very easy to ride. It is tight, flowy, and littered with small waterfalls flowing right on to the track, bridges, and more. It stretches along 23 for miles and miles, but has many points to hop back on the road or continue down the trail. Perfect for connecting pavement and singletrack on and off as you please. If you are looking for something more difficult, trails like Blue Lake Ridge and Hamilton Butte trails are marked as "most difficult". I can definitely assure you these trails are challenging on a large dual sport, but still a lot of fun. These more difficult sections lead to some great views while your bike is sitting on a cliff edge. Not for the faint of heart. If singletrack isn't your thing, you will find there are hundreds of miles of FS roads in the same area. They intertwine with all of the trails, making it very possible to jump back and forth. Anywhere from totally abandoned, steep, washed out, and rutted old roads, to perfectly maintained and flat gravel sections. 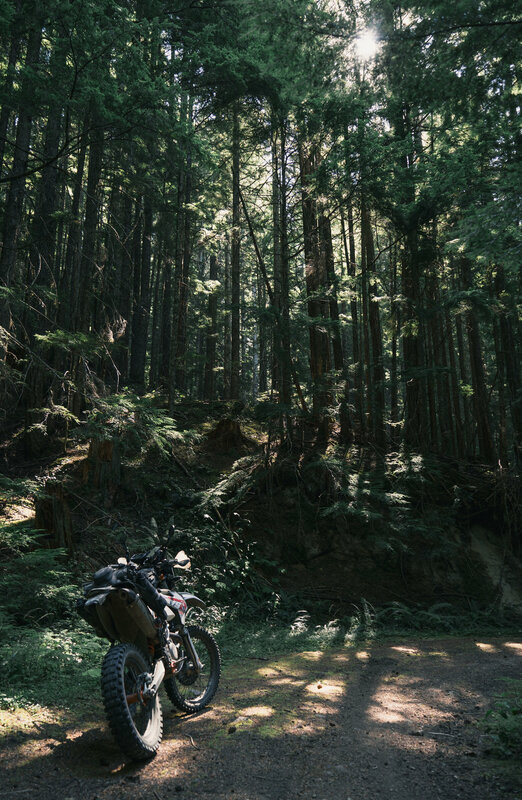 Some of the older routes are hidden behind overgrown branches, so keep your eyes peeled for the less obvious intersections to find the most fun. Once you find yourself out of the trees and climb up in elevation, the views are spectacular. In many spots, you can see Rainier, Adams, and St Helens all at the same time. There is also a lookout tower up on Burley Mountain you can ride right up to, and even camp inside of for the night. Mt Rainier from inside the lookout. 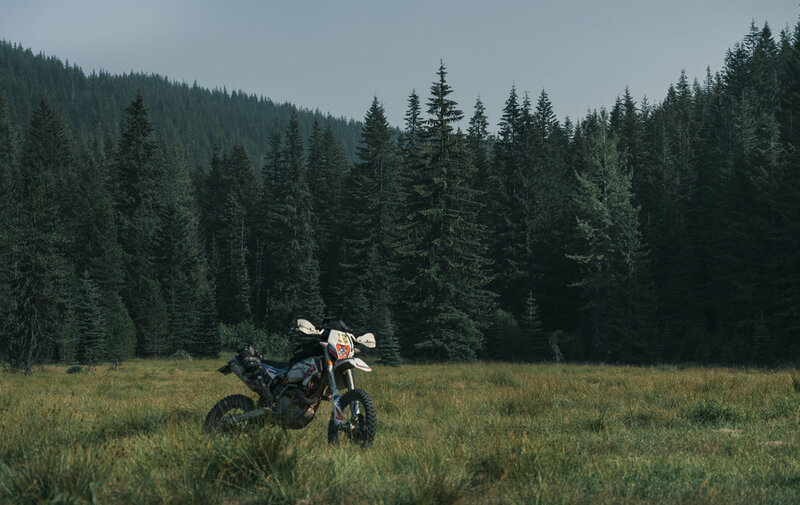 "8-18-18 - Casey Cryan - Dual sport ride from Packwood. 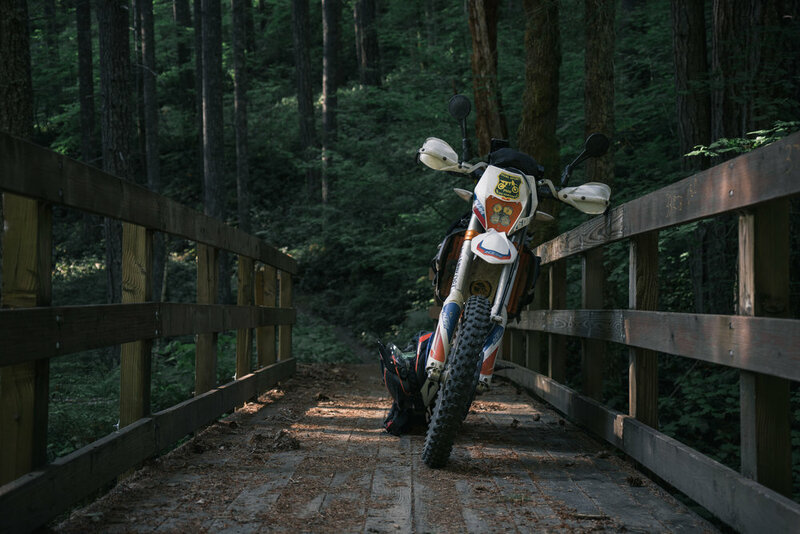 #pnwdualsport!" 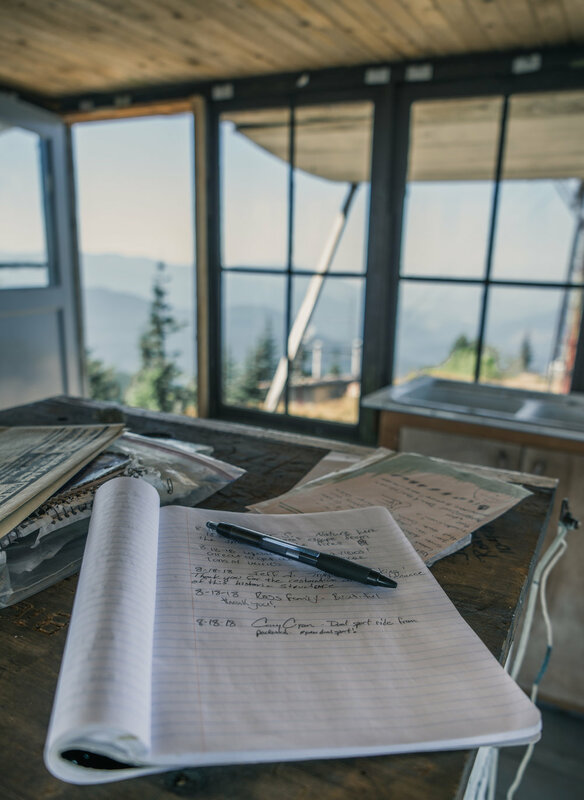 We'd love to give you all of the secrets of this place, but believe it's best explored on your own. Find some time and go ride this area, you won't regret it. 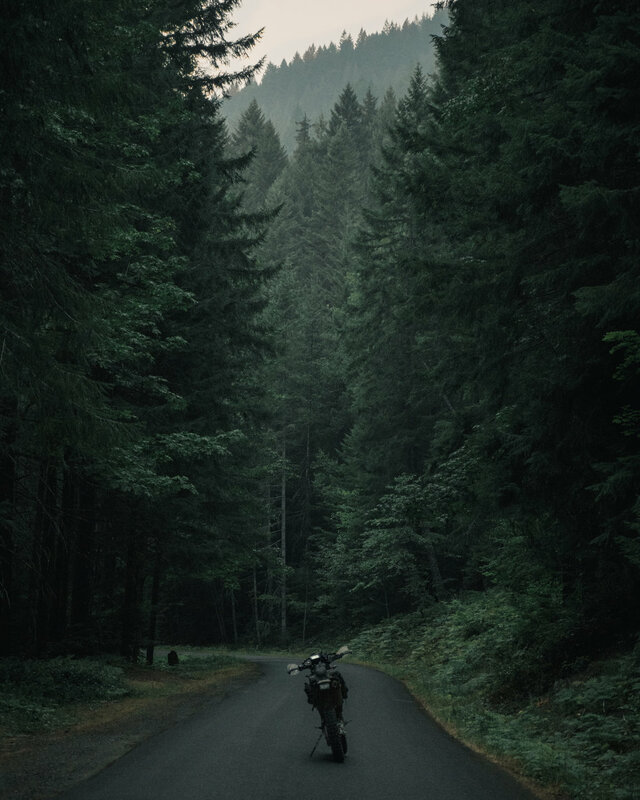 Starting tonight, we are hosting a group ride in this area for the weekend, motocamping along the way as we ride through the area together.